The deteriorating state of three Manitoba bird species has caught the federal government's attention, and it comes as a welcome change for some in the wildlife world who have been waiting for the additions for several years. "We were hoping that it was inevitable that they would pass," said biologist Christian Artuso with Bird Studies Canada. "It's just that under the previous government these things seemed to get stalled out." The Baird's sparrow, the horned grebe and the buff-breasted sandpiper were listed as species of special concern in June under the Species at Risk Act (SARA). Eight other wildlife species in other provinces were also added, while a handful of others that were already on the list received new designations. The additions stem from recommendations made by the Committee on the Status of Endangered Wildlife in Canada (COSEWIC) over the past few years. The organization is made up of a group of wildlife experts who monitor species that are facing challenges staying alive in Canada. COSEWIC makes these kinds of recommendations regularly. In an ideal world, Ottawa listens to those suggestions, which triggers the need for the Canadian Wildlife Service to come up with one-to-three year management strategies, depending on the status of the species, CWS species at risk biologist Ron Bazin said. That hasn't exactly happened as planned recently; recommendations piled up under the Harper government. 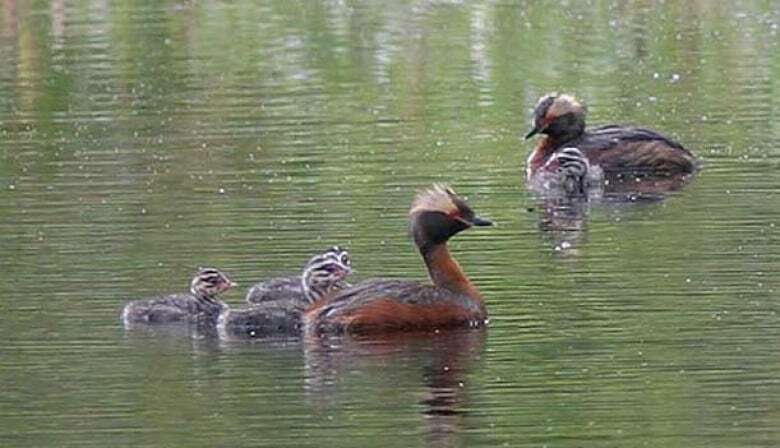 Of the three Manitoba species, this backlog is best illustrated by the horned grebe, a wetland waterbird. It was assessed as a species of special concern by COSEWIC more than seven years ago and was finally classified as such by the federal government this spring. 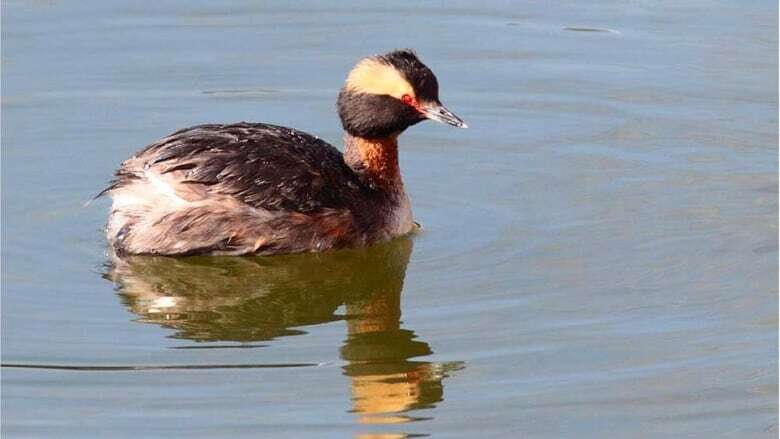 "It took from 2009 until now to get them [horned grebe] moved from the COSEWIC recommendation into the SARA," Artuso said. Bazin said he anticipates the current administration will work to get more of those recommendations pushed through. Artuso has spent parts of this spring and summer as he usually does; rising with the sun, before the melodic chirping of the dawn chorus gets underway, to seek out birds that aren't faring well in Manitoba grasslands. He was in the field last week looking for Baird's sparrows days after the announcement from Ottawa that it was among 11 species listed as at risk at the federal level. During that outing southwest of St. Lazare, Man., at the Ellice-Archie community pasture, he came across a bunch of Sprague's pipits and chestnut-collared longspurs, both of which are classified as threatened provincially, federally and internationally. Artuso was surprised to find four Baird's sparrows flitting about the same bucolic Prairie pasture along the Saskatchewan-Manitoba border last summer — somewhere the diminutive drab birds are seldom seen, at least these days. 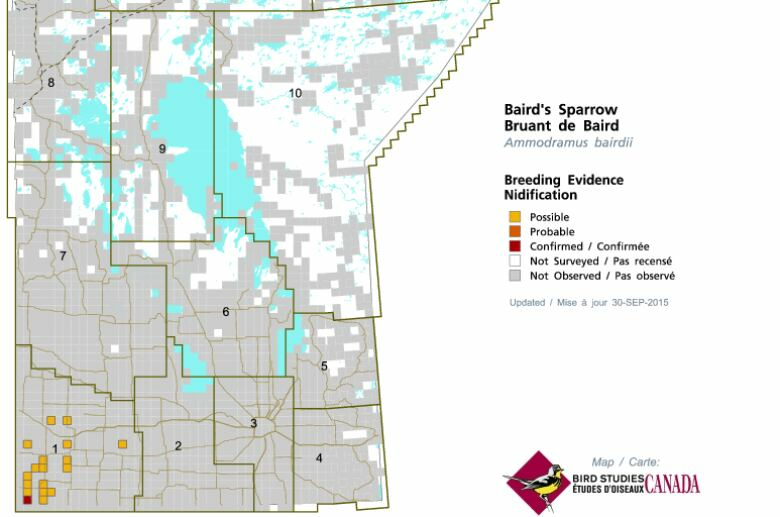 "Baird's sparrow has been on the radar for a long time as a grassland bird that is in trouble and is very limited in its distribution in Manitoba, sadly," Artuso said. To revisit the area this summer and not find those birds, or a single Baird's for that matter, seemed to align better with what bird scientists like Artuso have come to expect of the species in Manitoba. 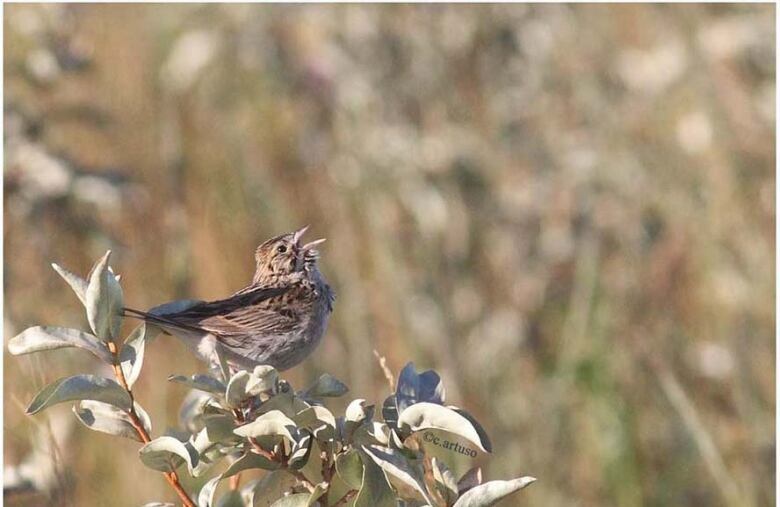 Most of the province's Baird's sparrows are isolated to a tiny island of native mixed grass Prairie in the southwest in what's been designated an Important Bird Area. "Historically they probably were a lot more common in Manitoba, but with the loss of native Prairie, you just don't have [the habitat]," Bazin added. All three grassland songbirds — the Baird's, the longspur and the pipit — are for the most part only found west of Brandon, Man., these days. Historically, that wasn't the case. As early as the 1980s, the chestnut collared longspur in particular could be found breeding in St. James in Winnipeg. "Like most things that formerly occupied the whole of the greater Prairie ecosystem east to Winnipeg, and to where the Prairie meets the boreal transition, they've basically lost all of that central southern Manitoba range," Artuso said. "There's just not any good large open tracts of Prairie left; it's all converted to agriculture." The Baird's sparrow is endangered provincially, and despite the comparatively less severe federal designation — "of special concern" — Artuso said as a conservationist, he's cautiously optimistic with what he's seen from the Trudeau government thus far. "It's really reassuring to see that they have finally [started] to catch up with a bit of the backlog of moving these birds from the recommendations of the committee into federal law. I am really happy to see that," Artuso said. "It's a good, positive signal that endangered species are [being] given the attention they deserve." Anyone hoping to catch a glimpse of one of these birds out in the wild is best off heading to one of Manitoba's 38 Important Bird Areas. 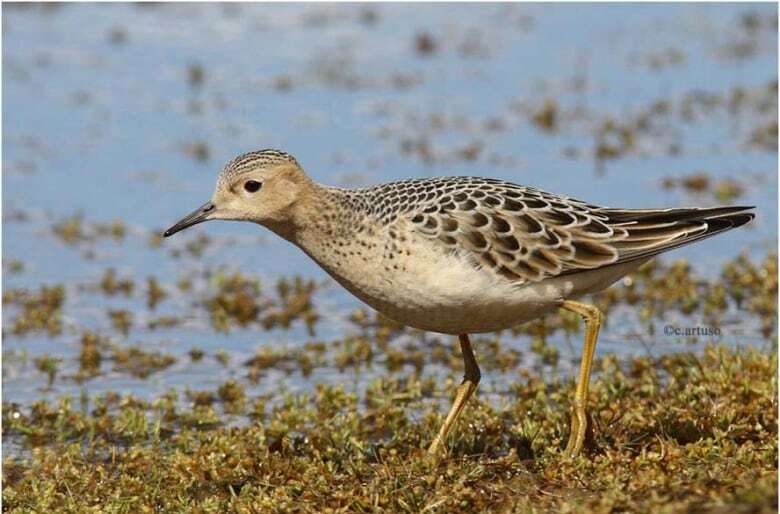 Artuso has spotted high numbers of buff-breasted sandpipers during fall migration at Oak Hammock Marsh, Whitewater Lake and on the Seal River north of Churchill, Man. "It's the whole aspect of biodiversity. They are a part of the ecosystem. You don't know what you've lost until you've lost it."